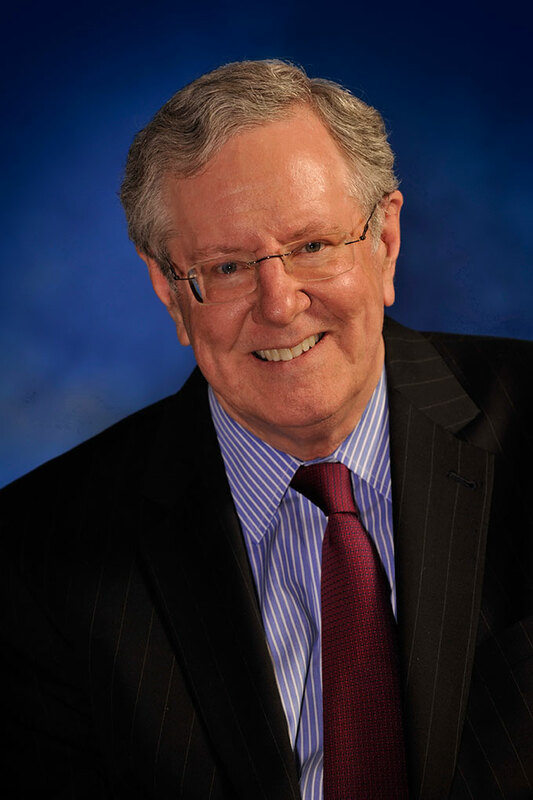 SOUTHFIELD, Michigan – Steve Forbes, chairman and editor-in-chief of Forbes Media, will speak at Lawrence Technological University’s 83rd Commencement May 9 and be awarded the honorary degree, Doctor of Business Administration. Some 800 students comprise LTU’s class of 2015. They will receive undergraduate, master’s and doctoral degrees at the 1 p.m. ceremonies held indoors at the Ultimate Soccer Arenas in Pontiac. Some 4,500 family members and guests are expected to attend. Admission is by ticket only. Forbes Media’s flagship publication, Forbes, is the nation’s leading business magazine, with a circulation of more than 900,000. Various editions of the magazine together reach a worldwide audience of more than five million. Under Steve Forbes’ leadership, the company has launched a variety of new publications, websites, and businesses worldwide. It also publishes investment newsletters. Forbes.com, a leading business website, reaches over 70 million unique visitors. Forbes writes editorials for each issue of the magazine. He is also a prolific book author, commentator, and economic prognosticator known for the accuracy of his forecasts. His latest book, “Money: How the Destruction of the Dollar Threatens the Global Economy – and What We Can Do About It,” was co-authored by Elizabeth Ames and published by McGraw-Hill Professional last June. In both 1996 and 2000, Forbes campaigned for the Republican nomination for the presidency. The national agenda that he continues to promote includes a flat tax, medical savings accounts, a new Social Security system for working Americans, parental school choice, term limits, and a strong national defense. In 1985, President Reagan named Forbes chair of the bipartisan Board for International Broadcasting, overseeing the operations of Radio Free Europe and Radio Liberty. Poland’s Lech Walesa praised these stations as being critical to the struggle against communism. Forbes was reappointed by President George H. W. Bush and served until 1993. Steve Forbes is a native of Morristown, New Jersey. He received a B.A. in history from Princeton University in 1970, and served on its board of trustees for 10 years. Forbes serves on the boards of the Ronald Reagan Presidential Foundation, the Heritage Foundation, and the Foundation for the Defense of Democracies. He is on the Board of Overseers of the Memorial Sloan-Kettering Cancer Center and the Board of Visitors for Pepperdine University’s School of Public Policy. He also serves as honorary chairman of Americans for Hope, Growth, and Opportunity, a non-profit advocacy organization. “Steve Forbes is one of today’s great economic thought leaders, and we are delighted to have him participate in our graduation ceremony,” said LTU President Virinder K. Moudgil. “His visit also has a historical footnote. Some 82 years ago his grandfather, B.C. Forbes, in his newspaper column praised the new incubators for emerging businesses that were part of the creation of Lawrence Technological University. Those business incubators, the first in the nation and a then-revolutionary idea of Lawrence Tech founder Russell Lawrence, were aimed at encouraging new enterprise during the Great Depression. We are proud that Steve’s grandfather helped make Lawrence’s innovation widely known and ultimately, a worldwide success.